SINGAPORE - (THE NEW PAPER) Famous New York City brunch place Clinton St. Baking Company & Restaurant opened here in mid-September and it's safe to say we have taken a shine to it since. Last weekend, I foolishly thought I could get a table on a Saturday close to lunchtime. The waiting time was two hours. So if you're hoping to get your all-day breakfast there, go early or be really patient because Clinton doesn't take reservations. There is nothing revolutionary about the menu. It is comfortingly American, filled with grits, peanut butter and maple syrup. During my first time there - unannounced, on the day it opened - service was friendly but slow. When I returned for an invited tasting, it was less friendly but more efficient - the true New York experience. I am a fan of peanut butter, and on a cake, it's heavenly. 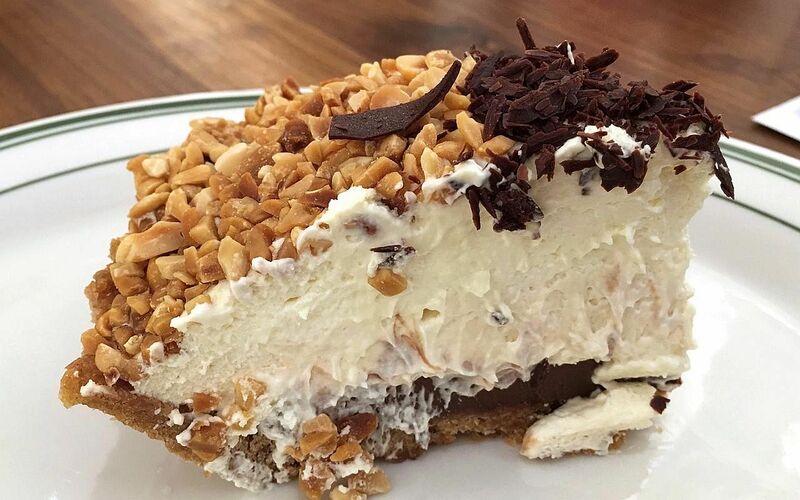 Especially when there is a hint of salt whipped into the Peanut Butter Ice Box Pie ($9.50). 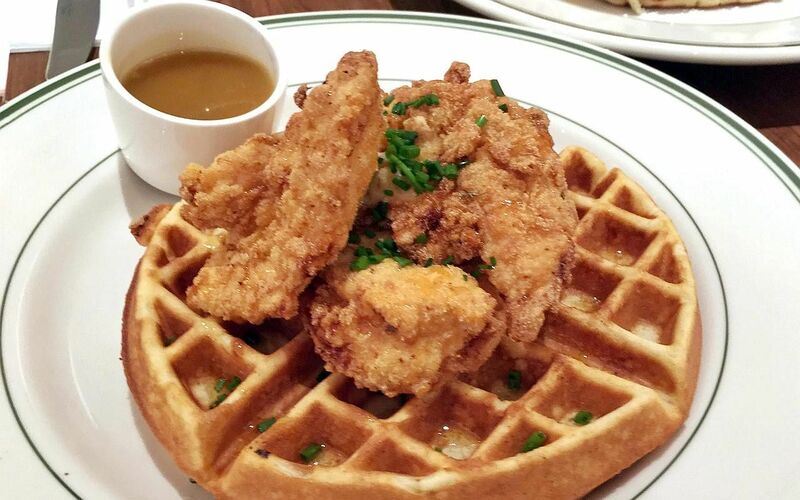 Everyone loves the buttermilk fried Chicken & Waffles ($21) but the meat was bone dry both times I tried it and the waffles too dense. I'd skip this. 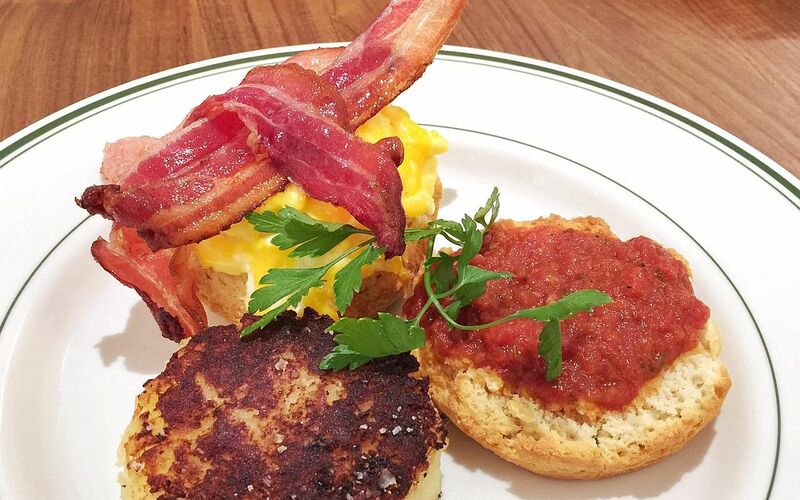 The hash brown and the tomato jam saved the Buttermilk Biscuit Sandwich ($13.50) and distracted me from the overcooked scrambled eggs. 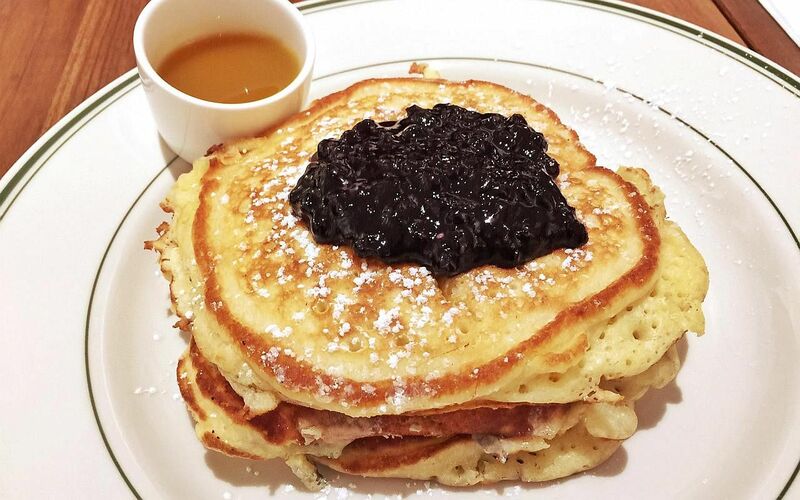 I tried the Pancakes with Warm Maple Butter ($18) with two different toppings: Blueberries and banana walnut. Go for the berries. But never skip the warm maple butter - you'll want it on everything. 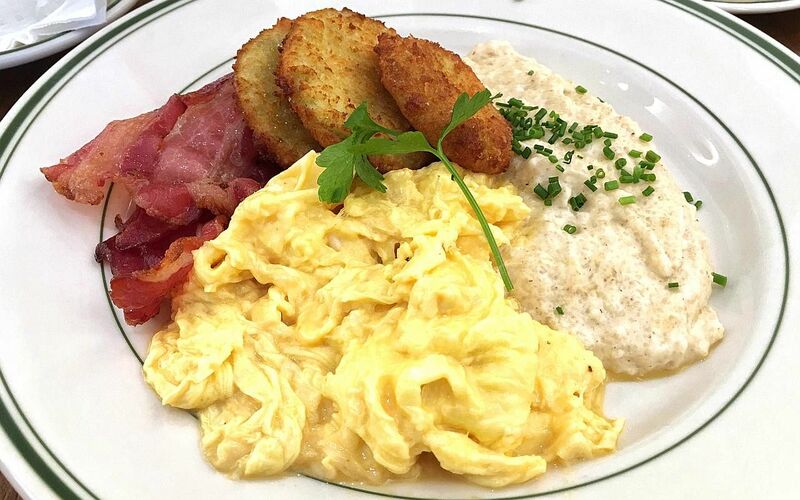 I'm a fan of the Southern Breakfast ($18) because of the cheese grits. It's salty, cheesy, and like eating savoury thick porridge. Lovely! This article was first published on October 14, 2015.